Jon Koonce was the head of the band. They had a some great albums and two big singles called "Shoulder of the Road" and "Complicated Now". They both got some national air play. The guy had and still has a great voice and writes some great tunes. He currently lives and works in the Portland, OR area. Jon is now playing and singing in his band Johnny and the Gas Hogs. They do mostly their owns songs and it is a rockabilly sound that leaves you humming after the gig. I believe he still plays with his old guitar player Mark Spangler occasionally. He made a run at MTV in the mid 80's with an album called "Totally Distracted". Cut a couple of videos and Al Kooper produced the album. Unfortunately it did not take off like it should have and he went back to the drawing board. Al Kooper wanted Jon to sing in his band, so that should say something for his talent. Jon declined and to this day is still doing his own thing raising his family and loving life. To add a few names to the mix in this band, the longest lasting bass player was Mark 'LaRue' Todd. The longest lasting guitar player was Bill Feldman (founding member, about 6 years ). Founding guitar player was Ron Stephens. Spangler was a very late additon, who replaced Feldman. Spangler was replaced by Doug Frazier, who went on to play with Quarterflash. Kip Richardson was the drummer, I mean THE drummer for the longest time ( 5-ish years). The Keyboard player pretty much from day one was Greg (Peck) Perry. 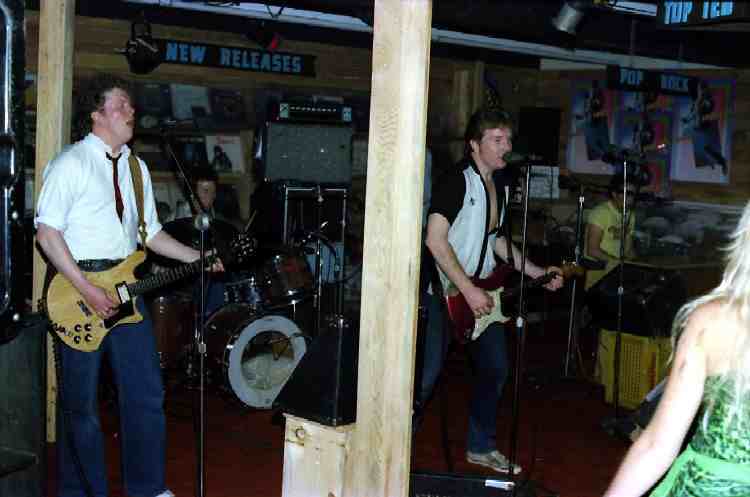 The original Distractions were the popular Portland band, The Wasted Rangers. Jon Koonce was the drummer for Sleazy Pieces when he started managing The Wasted Rangers. The Rangers, Hank Rasco, piano and vocals; Ron Stephens, guitar, pedal steel and vocals; Bill Feldman, guitar, blues harp and vocals; Rick Edwards, bass guitar and vocals and Tom Johnson, drums and vocals, would back up Johnny Koonce in Portland. Sometimes the "bands" would play together at clubs like Saks Front Avenue, Euphoria and The Last Hurrah. 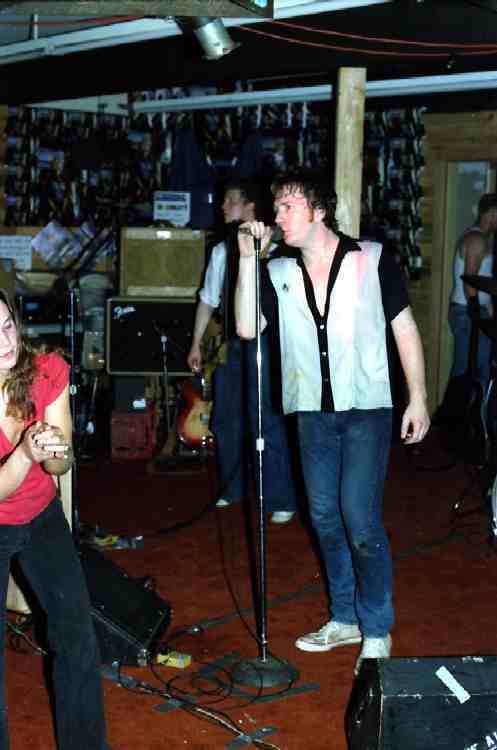 Koonce and The Wasted Rangers recorded his first single "Deep In The Night" in Ron Stephens basement in Vancouver, WA. 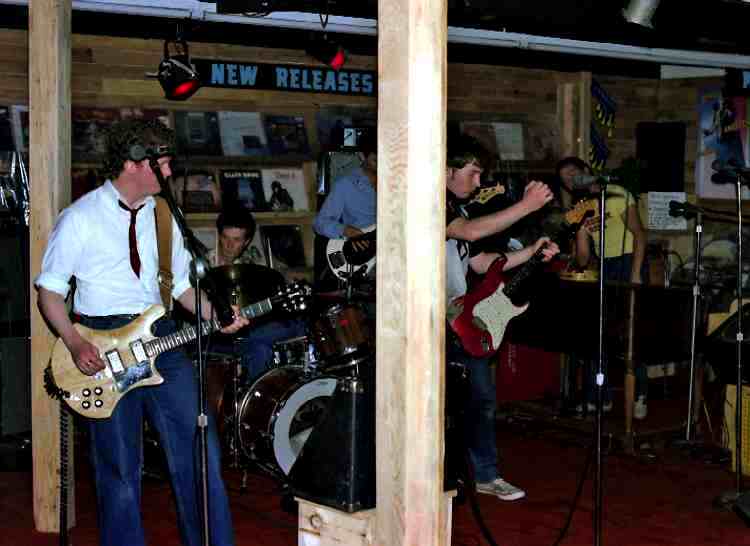 In December of 1978 The Wasted Rangers played their last week end at The Last Hurrah, a double live album was recorded that week end by the legendary audio man Jim Sanders assisted by Ken Schriener. Bill Feldman and Tom Johnson went on with Koonce to form one of many incarnations of Johnny and the Distractions. Al Kooper produced the LP Got My Eye On You while Jon was still signed to A&M (after "Let It Rock"). The Totally Distracted LP was produced by Jon and the band, recorded at Studio One in Vancouver, WA, engineered by me (Ron Stephens) and mixed by Reed Ruddy and I at Kaye Smith (now Studio X) in Seattle. The album featured the single "She's My GIrl" which garnered considerable northwest airplay. Concurrent to the release of Totally Distracted was Distractions keyboardist Kenny Day's "Keep Givin' To The World", a We Are The World- like anthem that featured Portland's most popular artists of the day - Rindy Ross, Meredith Brooks, etc. - and also received heavy airplay on Portland rock radio.